UK drivers are an angry bunch according to a new survey on what makes drivers see red when they are on the road. Over 1,700 UK drivers told InsuretheGap.com, a specialist provider of GAP (Guaranteed Asset Protection) insurance, what angers them, with men twice as likely as women to feel ‘always’ angered by other drivers (66% men v 34% women). 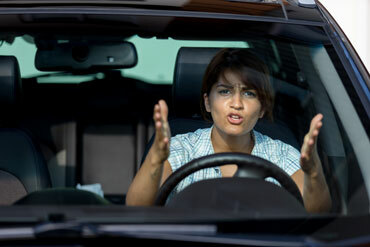 Although, over a third (34%) admit that they, too, are guilty of some of these driving behaviours that makes them so angry when other drivers are doing them. Men’s pet hate is persistent or random breaking, while women’s is another driver taking a parking space they were waiting for.